Repair wood roof beams using our Epoxy Resins and connection bars - full structural strength restored, Engineering Calculation Service available for purlins, rafters, tie beams, ridge beams, King and Queen Post Trusses. 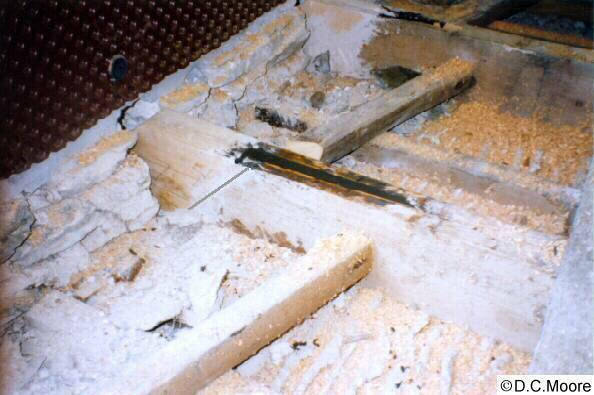 Rotted roof beams can have new ends or mid sections made by us as Timber-Resin Splice Kits, or you can buy the resins and bars separately to make your own repairs. 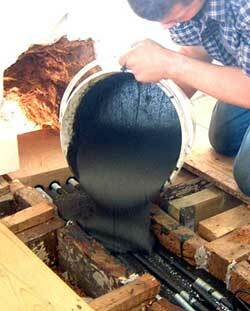 No need to scrap good roof timbers, and no need to open up the roof and the ceiling. 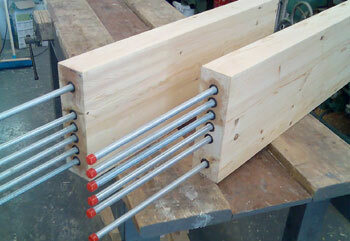 Roof arch repaired using Timber Resin Splice - these units are made to order, supplied as a Kit. Slots in a roof repair beam filled with resin. Roof repair prop - wet rotted roof timber. 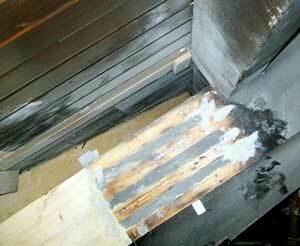 This type of roof repair includes replaced rotted purlins, ridge beams, rafters and trusses. 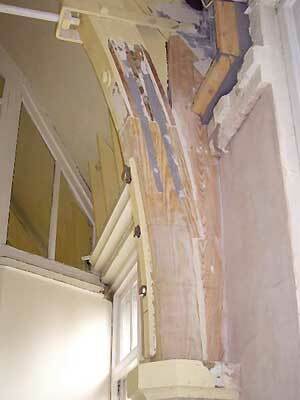 Ready to fit to Roof Timber rotted ends. 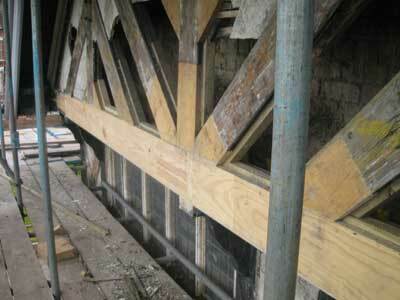 Repair sections available for Bressumers, Carrier Beams, Rafters, Ridge Beams, Purlins and Glulam Beams. 2. Rotted Tie Beam Ends and Mid span gaps - under 300mm lost - shutter small gaps or small end defects and fit High Tensile Steel Allthread, zinc plated, and then pour in Structural Epoxy Pouring Grout.